Vanhire.Pro is a family owned business and offers reliable Man And Van Hire Services for house removals and relocation. We are operating in London and surrounding areas for the last 15 years. 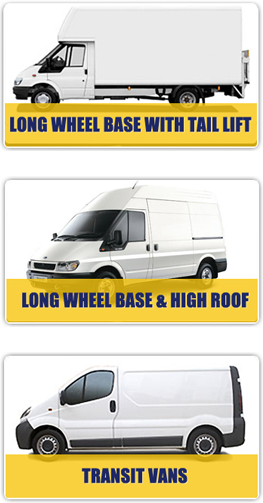 We own fleet of vans which are of different sizes. Our house removals services are best alternative to self drive rental van hire. We are trained and competitive house and office removals service providers. Our expert team of movers will handle all sort of removals and moving requirement. Why hire a self drive rental van for moving items or relocation? Our Man And Van Hire London services comes with a Driver With Van, mean you get a pair of helping hands who can easily manage loading and unloading of your items, transport it to your destination and that do with a fully insured services. There are no hidden charges, nor you have to pay for fuel, insurance or call out charges. Our rates starts when we arrive at your premises and ends when we are done with the job. At London Removal Van Hire With A Man, we are your one stop for all your house, apartment, flat and office removals. No job is too small or too big for us. Our expert movers are strategically located all over UK and can take jobs on short notices as well. No extra charge for short notice jobs or weekends. Nor we charge any extra for after hour removals. Our movers will do all the loading and unloading of your items.